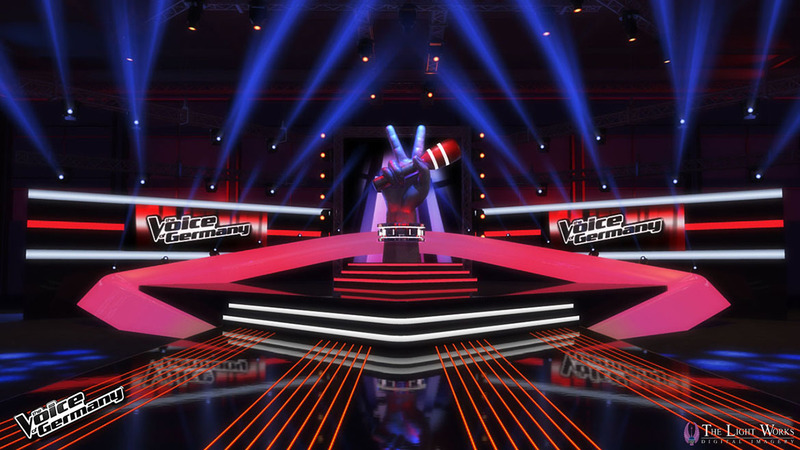 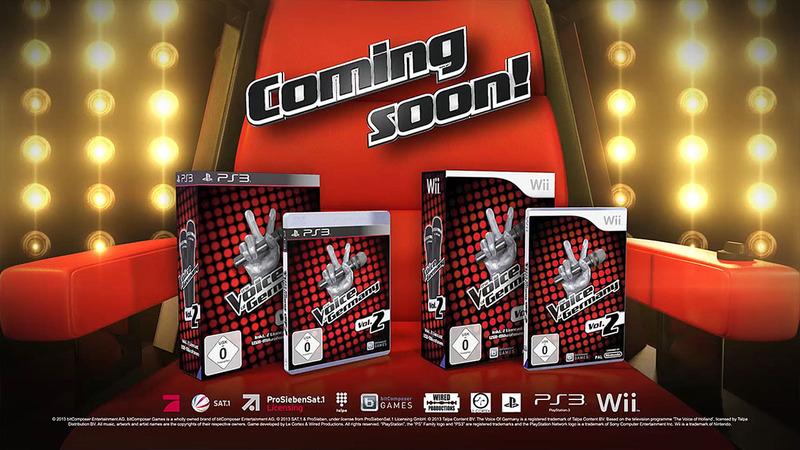 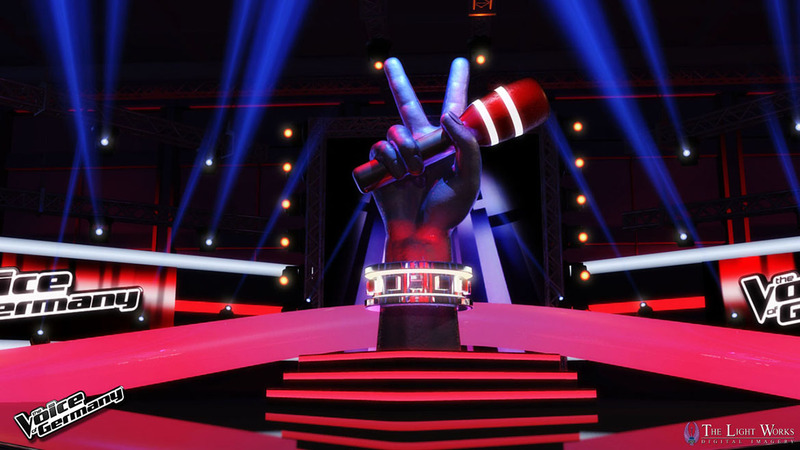 The very popular "Voice of Germany" show gets its second sing-along game. 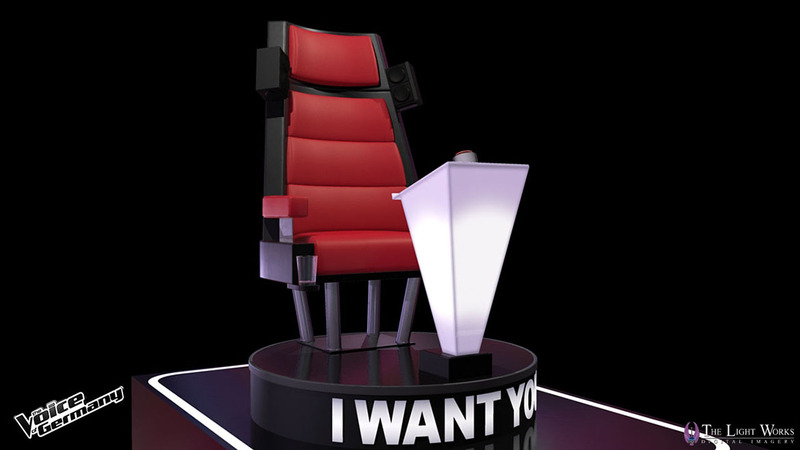 We recreate the "Voice of germany" studio and the jury seat very faithfully for the trailer that will be shown during this years GamesCom. 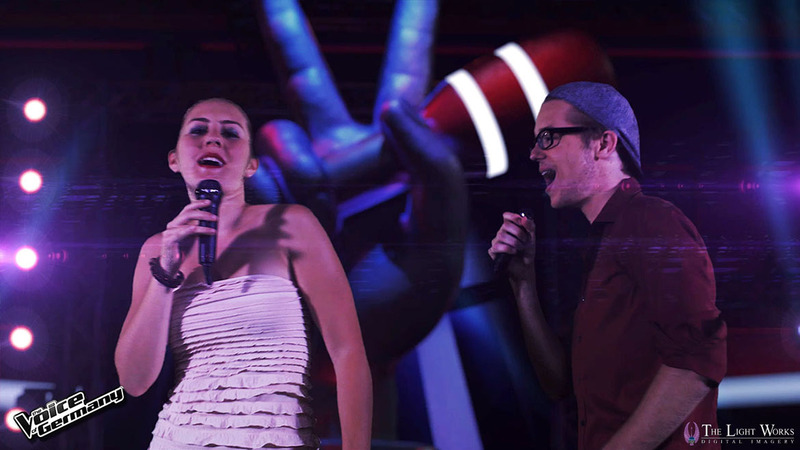 The singers performed in front of a large greenscreen - we tracked the camera and rendered the movements and the packshot accordingly.